This is a pretty beaded necklace! 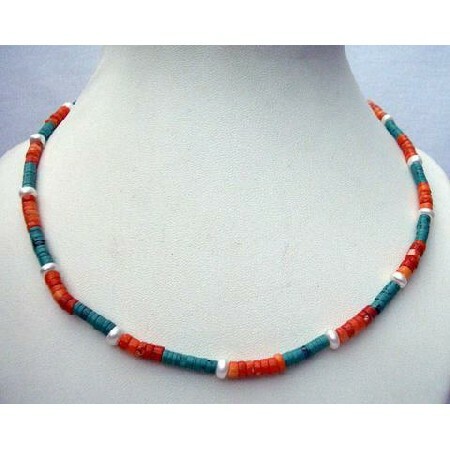 This piece features Turquoise & Coral 3mm Ring Handmade Necklace.Turquoise symbolizes beauty Coral is said to protect children. Necklace is not Polish it is 100. Turquoise & Coral.